Hearing aids can greatly enhance your life if you choose the right one. Read on to discover what to consider when choosing between types of hearing aids. 20% of Americans (48 million people) report some degree of hearing loss. Unfortunately, many people wait even up to 15 years from the time they know they have hearing loss until they purchase their first hearing aids. If you are having trouble following conversations around you and want to stop missing out, book a hearing aid assessment. To prepare yourself for what you can expect, we’ll cover the main types of hearing aids available. Read on for a list of hearing devices starting from the least visible ones. This type of hearing aid is often called CIC for short. It is the least visible model available on the market. As the name suggests, a completely in the canal hearing aid fits inside your ear canal. Because it is tucked inside your ear, there is very little wind noise. But, CIC hearing aids are prone to getting earwax clogging the speaker. Trying to clean out your own earwax can actually cause the wax to go deeper into the ear and become impacted. Yup. Avoiding cleaning inside your ears is one of several little-known hygiene rules. Yet, the small size of this hearing device means that you also have tiny batteries. You’ll have to change these batteries more often than the batteries of other models. And the small size of the batteries can make replacing them tricky. CIC hearing aids don’t have extra features like a directional microphone or volume control. But you might not feel you need those things. CIC aids work well for adults who have mild to moderate hearing loss. In the canal hearing aids (ITC for short) fit partially in the ear canal. It has some of the same pros and cons of CIC types. ITC aids are susceptible to earwax and are less visible than many other types of hearing devices. ITC aids work for adults who have mild to moderate hearing loss. One of the benefits of ITC devices is that you are able to get some features that aren’t available in CIC models. But the small size may make it hard to adjust the volume for some people. In the ear (ITE) hearing aids come in 2 types. You can choose between the full shell or half shell version. The full shell style fills most of your outer ear. Half shell ITE aids sit in just the bottom part of your outer ear. People with mild to severe hearing loss can use ITE hearing aids with great success. ITE aids use a larger battery than the other 2 we’ve discussed so far. That means the battery lasts longer and is easier to change. The cons are that it is more noticeable in the ear than the smaller aids we’ve mentioned. And it might pick up more wind noise than smaller units. On the plus side, this device is often easier to handle because it is larger and has more features such as volume control. As this hearing device sits in the ear, it is also prone to get clogged by earwax. Behind the ear (BTE) devices hang off the top of a person’s ear and sit nestled behind your ear. A small tube runs from the hearing aid to an earmold that is in your ear canal. This type of hearing aid works for both children and adults. And it works for hearing loss of any severity. In the past, behind the ear hearing aids were large and clunky. Yet, in recent years they have become sleek and much more discrete. BTE hearing aids have better amplification than many other styles. But they may pick up more wind noise. 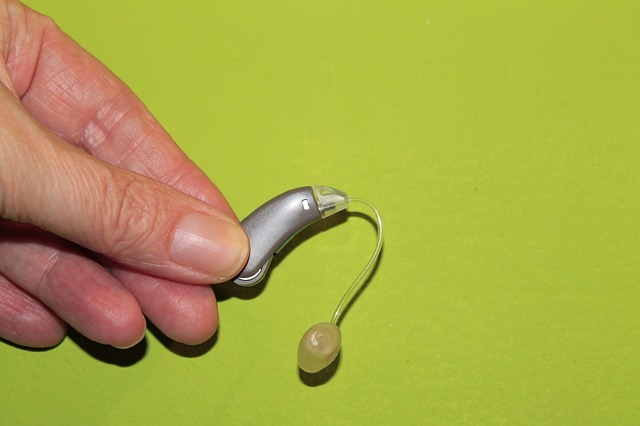 Make sure to read Costco hearing aid reviews before you settle on a particular supplier. Receiver-in-canal (RIC) hearing devices are like BTE styles in that there are two pieces of the hearing aid. One is behind the ear and one is in the canal. Yet, instead of being connected by a tube, RIC aids are connected by a wire. The part of the hearing aid that is behind the ear is less visible in RIC aids compared to BTE models. But, RIC aids are susceptible to getting clogged by earwax. Receiver-in-the-ear (RITE) hearing aids are like RIC devices. One part of the device sits behind the ear. The receiver (or speaker) is in the ear as opposed to the canal. A tiny wire connects both pieces. Open fit hearing aids are a type of behind-the-ear devices that don’t need an earmold. That means that you don’t have to wait for a custom part to be made for you. You can walk out of the office with an open fit hearing aid the same day. These hearing aids don’t block the ear canal and are less susceptible to earwax. They are also less visible than other styles. And they don’t plug your ear so that your own voice sounds more natural to you when you speak. One downside is that it has small parts that might be hard to handle. We hope this guide on that different types of hearing aids helps you find the right style for you. Remember to ask for a demonstration before you purchase any type of hearing aid. And make sure you ask about maintenance and how to care for those hearing aids. Of course, you need to also consider cost. While you’re here, check out these stress-free money saving tips.